With over 4,000 registered casinos across the world aiming to offer their patrons the ultimate gambling experience, luxury is the main attraction for many visitors. However, it's often the most unique establishments that stand out from the crowd, rather than the most opulent. There are a few casinos off the beaten track that allow gambling fans to experience something completely different to the usual look and feel of slot games, roulette wheels and poker tables. Casinos are constantly becoming more quirky, inventive and ultimately different to try and create a unique selling point for new customers, one of the key attractions is often the design and layout. Casinos consider a range of aspects when it comes to the design, not least how it will affect the customer. The design has to cater for thousands of visitors, including those who have never visited a casino before, and the high-rollers who are ready to spend huge amounts of money. Casinos are designed with the intention of extracting as much money as possible from the visitors, to do this they take plenty into account, where do the crowds gather? What does the visitor see as they enter? Even the noise levels in certain areas. You can be sure that the most successful casinos in the world will have considered every aspect of their casino design and layout. We've profiled a few of the most individual casinos packed with character to help you plan your next trip away. Some casinos are known for a lack of windows to keep gamblers from realizing how long they've been playing for, but the architects behind the Desert Cave casino floor didn't need to worry about sunlight. 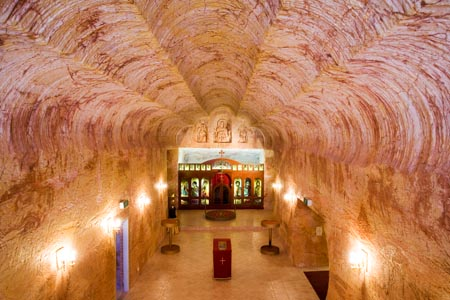 Built almost entirely underground, the Desert Cave Hotel in Coober Pedy is designed to combat the excessive heat generated by the South Australian sun, while fitting in with the other underground architecture that made the mineral mining town famous in the first place. Construction of the hotel began in 1984, it took 5 years to complete. Robert Coro worked hard to ensure that the hotel was constructed in tough conditions. It is located in the outback of Australia, many of the locals lived in underground homes to avoid the heat, this was way back in 1914, and this was the inspiration for the hotel. Visitors can stay upstairs if they wish, but the underground experience is truly unique. It is just a 14-minute walk from the Big Winch Lookout, a remarkable viewing point. With slots, table games and excellent food and drinks, the Desert Cave is a great stop off on any trip across Australia. 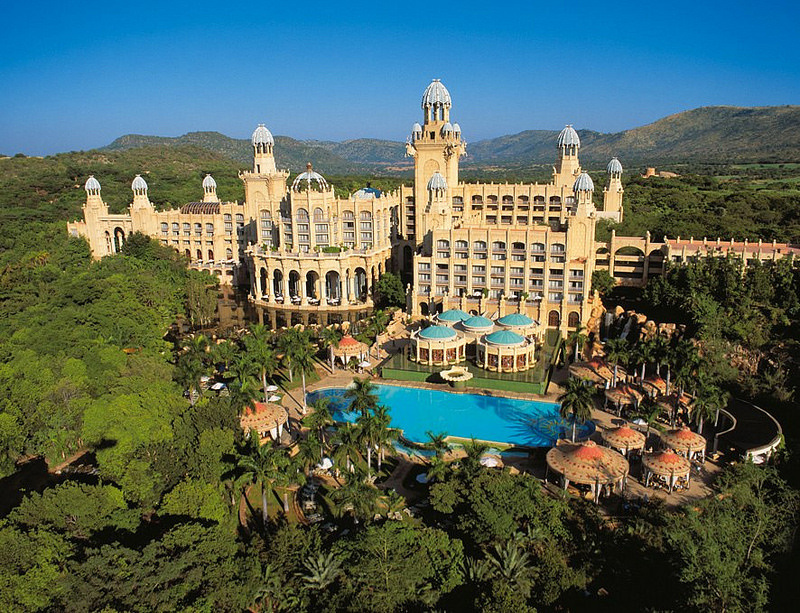 The large entertainment and casino complex located near Pretoria wouldn't look out of place in Macau or on the Las Vegas Strip, but it's the incredible wildlife that sets Sun City out as one of the most unique casinos in the world. With a full sized reserve and safari park, visitors can take some time away from the tables to see giraffe, lions, zebra and a whole range of native African wildlife that surrounds the resort, hotels and of course world-class 18 hole golf course. The hotel is about two hours’ drive from Johannesburg. Sol Kerzner, the hotel magnate, developed the hotel as part of his Sun International group of properties and it has been open since the 7th December 1979, although it has been refurbished quite a bit since then! The location of the hotel ensures that it has always been a popular holiday destination. Down the years the hotel has seen a number of famous faces perform. Standouts include the Beach Boys, Cher, Frank Sinatra and Rod Stewart. Queen also performed in controversial circumstances, they performed in 1984, a period when many high profile names were boycotting South Africa due to the apartheid. The resort has hosted IIFA Awards back in 2001, this prestigious event honours both artistic and technical excellence in Bollywood. More recently it was the set for a Hollywood movie, Blended, the film starred A-listers Adam Sandler and Drew Barrymore. 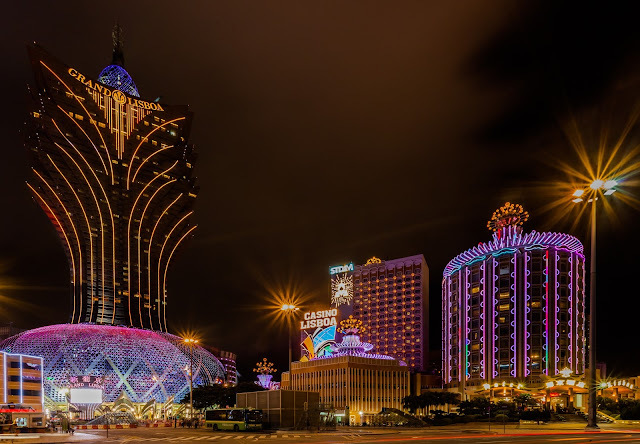 This $2.4 billion dollar casino on the Cotai Strip is your typical Macau mega casino, with multiple gaming floors, thousands of slot machines and every table game imaginable presented in the most luxurious way. However, you can pretty much leave the Far East behind them as you walk through the main entrance. Covered in opulent, faux-renaissance décor and room design, the entire casino feels like a trip to Venice, complete with a replica of St. Mark's Square and gondola rides on canals. The ultimate in over-the-top casinos, the Venetian is an example of what happens when imagination and eccentricity come before budget. The casino is owned by the Las Vegas Sands company, it is an impressive 39-storeys. It covers 10,500,000-square-foot and is the seventh largest building in the world by floor area. The resort opened in August 2007 and has been hugely successful ever since. The success is largely due to the thriving casino, it consists of over 3400 slot machines and 800 gaming tables. 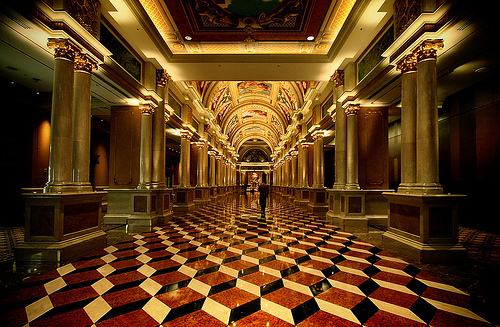 However, The Venetian is more than just a casino, it has an indoor arena that has a seating capacity of over 15,000. The arena hosts a range of events including basketball, tennis and boxing. The Cosmopolitan isn't your typical Vegas casino, going for a more refined and high-class experience that sets it apart from the often gaudy, mass-catering effect that plagues some Vegas casinos. With a small gaming area that promotes exclusivity and only 3,000 rooms (trust us, that's small in Las Vegas), the Cosmopolitan is also one of the only hotels in Vegas that offers balconies on all of its rooms, allowing guests to enjoy insane views of the Bellagio and Las Vegas Strip. Expect to pay a little more for the luxury however, with the Cosmo regularly in the most expensive hotel lists in the city. 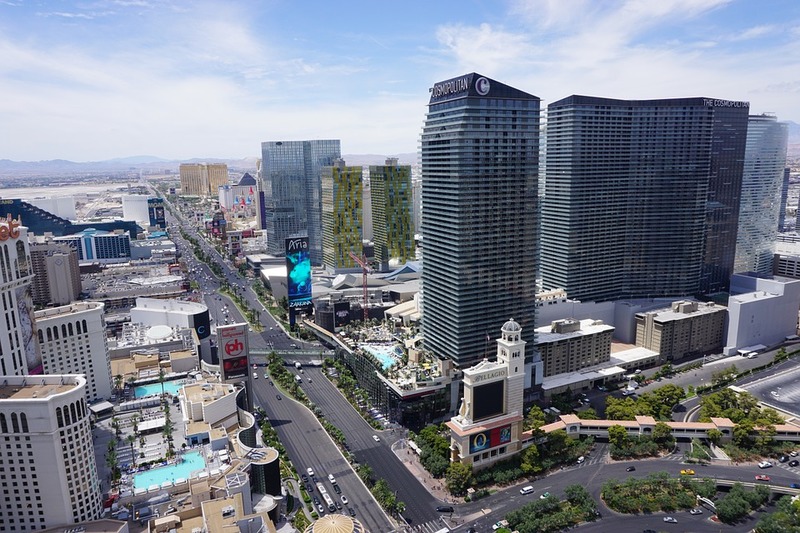 Opened in 2010, the Cosmopolitan, often referred to as the Cosmo, consists of two high-rise towers, both of which are 184 metres tall. In 2013 the hotel was rated as “The Best Hotel in the World” by Gogobot. The resort is owned by The Blackstone Group, they purchased the resort in 2014 for $1.73 billion, and the group have evolved into one of the world's largest private equity investment firms. Located inside an old theatre near London's Leicester Square, the Hippodrome has a totally unique layout that helps to create an amazing gaming atmosphere. The beauty of having a stage means that there some of the biggest acts perform regularly too, so you'll be able to catch a show, enjoy some amazing food and gamble until the early hours without leaving the building – something you won't find elsewhere in the city. 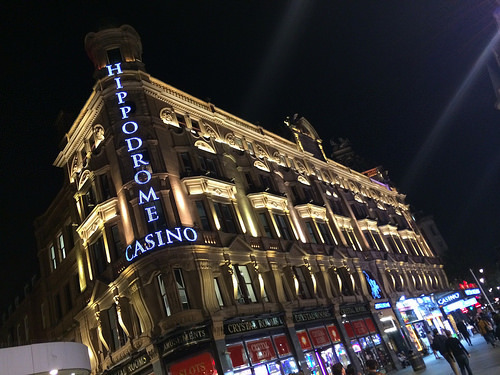 The oldest on the list, the London Hippodrome was opened in 1900, designed by Frank Matcham, it was designed for £250,000 as a hippodrome for circus and variety performance. It was decided in 2009 that it would be used as a casino and entertainment venue. This idea came from father and son duo, Jimmy and Simon Thomas. It was reported that investment on the building reached upwards of £40 million. The casino has won a number of awards including ‘the best land-based casino’ award, Jimmy Thomas was also given a lifetime achievement award for his services to the gaming and entertainment industry. The casino offers 3 floors of live gaming and is famous for its poker facilities. It can accommodate 2000 people at its busiest.